We’re overjoyed to announce JPG as one of the featured vendors at The Lovesick Expo on January 12 at the World Cafe Live in Philly! 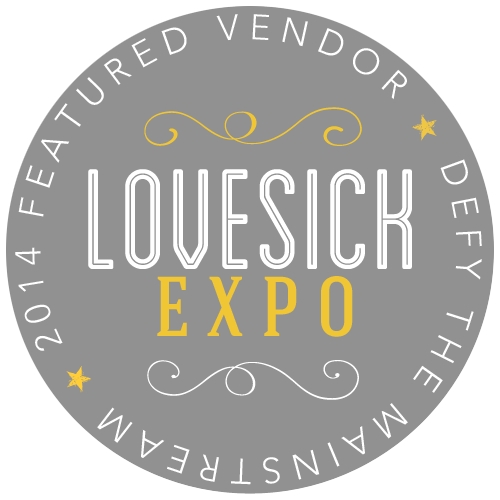 Lovesick is a traveling expo featuring the best offbeat and unique wedding vendors and photographers in the area. Couples nationwide come to the expos to find the best vendors for their big day. Lovesick has recently teamed up with Offbeat Bride, who we’ve had a long relationship with (see our page on their vendor guide), which only adds to our excitement to be featured! We’re counting on this expo being the 3rd time’s a charm. We previously signed up for Lovesick in Baltimore which got canceled, then Coney Island, also canceled due to Hurricane Sandy damage. Cross your fingers for no snow storms in January! 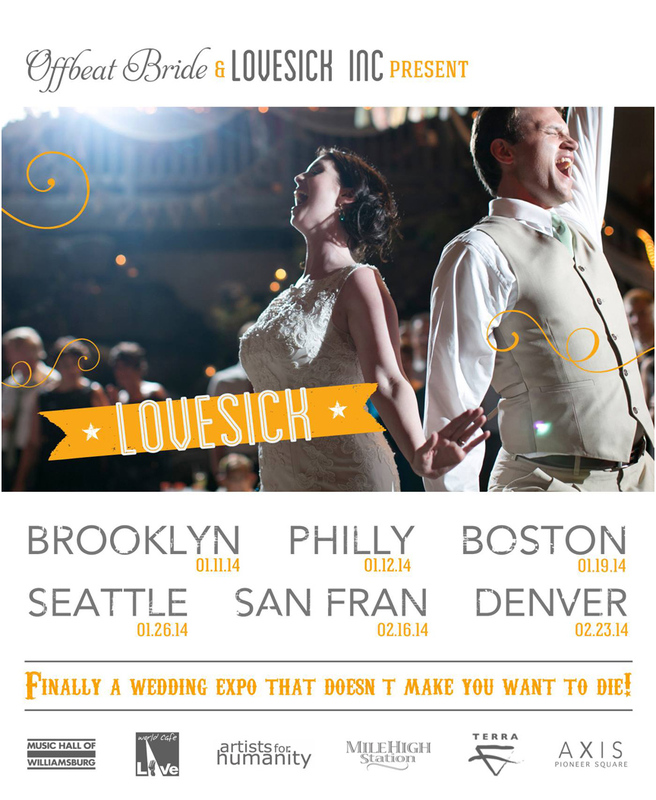 Thank you, Lovesick, for allowing us the opportunity to feature our professional wedding photojournalism at the Philadelphia expo. Want to join us? Head over to the website for Lovesick Expo or their Facebook page for more information. The video for the expo can be found here. Hope to see you there!